Making a YouTube video is half the battle. After the tireless production process, it’s time to share what you’ve made by posting it on places like Facebook, email newsletters, and of course, your website. In the past, YouTube video embeds took a little creativity or extra plugins on WordPress. However, that’s changed since the WordPress 2.9 release. In fact, you can embed YouTube in WordPress without much more than the YouTube link. However, you might want to get more clever with your integrations by creating galleries, inserting your entire YouTube page, or curating a list of videos from other creators. With these unique YouTube options, you’re able to stand out from the regular video embeds and offer a more unique experience for your users. Copy the URL from the YouTube video. 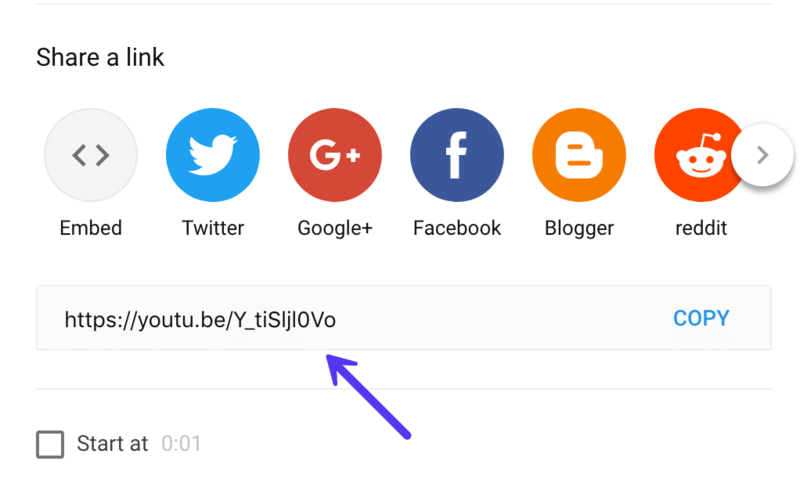 You can copy the URL from your browser’s address bar or from the YouTube share link button. Tip: You can automatically have the video start from a certain place (for example, 30 seconds in) by first checking the “Start at” box and choosing a time. Then copy the link. 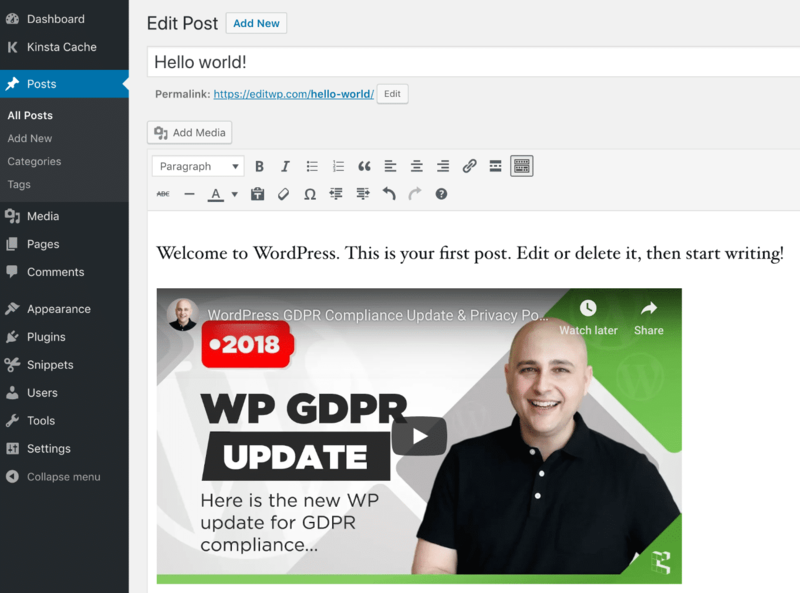 Paste the URL into the WordPress editor and the embed feature will automatically turn it into an embedded video. Tools for improving the privacy and consent options for videos embedded on your website. The ability to lazy load your videos so that the media doesn’t slow down your entire site. Visual settings control for adjusting items like colors, sizes, and the overall look of your videos. Options for using shortcodes to place your videos for more flexibility when placing your videos in areas like widgets and posts. Lightbox viewing and other alternative video displays. Tools for creating hover and animation effects when users scroll over your videos. Options for pulling videos from multiple sources such as social media accounts and YouTube. This is a great way to curate a channel of videos on your own website. Social media buttons to encourage people to share your videos. Plugins for creating and inserting full YouTube playlists, with additional formatting and design tools. Video thumbnails, sliders, color changes, and a wide variety of other options for making your YouTube video embeds stand out. We’ve gone through and looked at all the best WordPress plugins you can use to embed YouTube videos in WordPress. Now it’s time to dive in! The YouTube plugin by EmbedPlus offers several ways to customize the videos you embed on your WordPress website. To start, the plugin has gallery capabilities to pull your playlists or channel lists into your site. The galleries are responsive and ready for your customizations. Then, your users are able to browse and search for certain videos depending on their own needs. Many other features are included with the YouTube plugin by EmbedPlus, but we’ll cover the best ones in the list below. As for the pricing, this plugin is free for the majority of basic features. 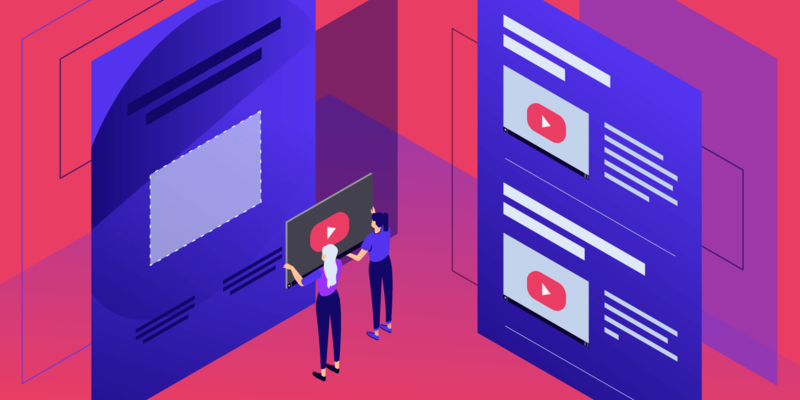 For instance, you can incorporate some branding to get rid of some of YouTube’s colors and logos, while also incorporating a YouTube live stream on your website. The premium version starts at $19.99 and that provides lifetime access to the YouTube plugin. Support is provided for some of the plans, and you receive some interesting additions such as automatic video SEO markup and faster page loads. I particularly enjoy the advanced gallery customization and the mobile compatibility check to see how people are viewing the videos on their smaller devices. Why is This Plugin One of the Best Ways to Integrate and Embed YouTube in WordPress? The plugin is free for the basic features, and I figure most people won’t need to upgrade past this. Even the premium versions are affordable, and you get them with a one-time payment (unless you’d like continual customer support). The free version has tools for generating playlists and galleries. You can also include YouTube live streams so that the streams play directly on your website. The YouTube plugin has a beautiful design interface with a large collection of settings for you to adjust things like colors and sizes. You’re also able to start playing your videos at certain times and adjust the volume for your customers. For instance, some webmasters may want to begin their videos right when customers land on their sites. The WP YouTube Lyte plugin has one main job, and that is to lazy load your embedded YouTube videos so that your website runs as quickly as possible. Lazy loading can typically be done with images, but this plugin takes it to a new level by focusing primarily on YouTube videos. Lazy loading only loads the media that is currently in view for the user. Therefore, your server isn’t working too hard to load all of the videos on your page or website. As a result, the website loads faster and you should see improved performance all across your website. The WP YouTube Lyte plugin is completely free, so there aren’t any prompts to upsell you or try to get you to buy add-ons or premium versions. The plugin doesn’t exactly lazy load videos the way most image lazy loaders do it. The plugin works by embedding a small version of the video (essentially just an image of the video thumbnail). It’s not until the user clicks on the thumbnail where it calls for the “heavier” version that YouTube serves up. This is particularly important if you plan on having large galleries or multiple videos on the same page. Your visitors won’t notice any difference between a regular YouTube embed, so the videos still load as quickly as you would expect them to. The WP YouTube Lyte plugin provides a lightweight embed of the YouTube video until the visitor decides she wants to view it. After the click, the full version of the YouTube video plays. 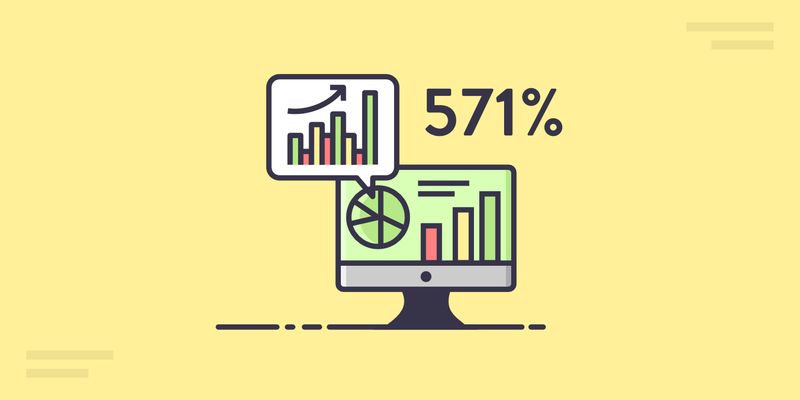 It improves the overall performance of your website, especially when you have a large collection of videos on a single page. Because the plugin doesn’t require any requests to the YouTube servers it actually results in improved GDPR compliance. Shortcodes are available for you to quickly place optimized YouTube videos all over your website. The plugin has been tested on all mobile devices to ensure that the lazy loading won’t affect the mobile performance that comes with YouTube. Wondering just how much faster it can make your site? We ran five speed tests with a normal YouTube embedded video and took the average. We then ran five tests with the WP YouTube Lyte plugin enabled, along with its caching thumbnail option. This one little free plugin decreased total load times by 40.43%! Not to mention it also decreased the page size and all the additional external requests that come with the default YouTube embed player. The Video Gallery tool caters to those who would like to create a beautiful gallery of their YouTube videos without having advanced design skills. What’s interesting about this plugin is that it also supports videos from places like Vimeo and Wistia, and you can also create an unlimited number of galleries with combinations from all of these services. Not only that, but all of the videos you place in your galleries are responsive for viewing on mobile devices. The search tools are also quite impressive with galleries, asking users to search and browse for certain videos and engaging them with clear navigation for where to find the videos. Several themes are also available with the plugins, and you receive plenty of customization tools to play around with after you implement a theme. The base plugin is free, but you do have the option to upgrade to a premium version. At the time of writing this article, the paid version goes for $45, but the developers have different promotions sometimes. If you were to upgrade to the premium version, most of the features involve customizing the way the gallery looks. For example, you might want to adjust the icon colors, borders, or font styles. These settings are all available in the premium plugin. This is a very user-friendly gallery plugin with options for creating your galleries with themes and gallery layouts. Quite a few customization tools are available in the free version. For example, you might add lightbox effects or some sort of hover effect to intrigue users to click on your videos. All of the galleries you insert onto your website are mobile responsive. There’s an unlimited shortcode generator if you’d rather have more flexibility with placing your YouTube videos online. The plugin has support for several types of videos, including those from YouTube, Vimeo, Wistia, and MP4 videos. You can have an unlimited number of videos in your galleries. The premium version isn’t that expensive if you’d like to completely customize and brand your galleries. The Feed Them Social plugin takes a completely different approach to the YouTube embedding game. After installing the plugin, you get to choose the social video feeds you like the most and display them on posts, pages, or anywhere on your website. It’s a great solution for a company that would like to highlight certain celebrity pages or specific tutorials that relate to a blog or product. The free plugin has functionality for viewing and displaying feeds from your Facebook page, along with album covers and photos. You’re able to include as many feeds as you want, but if you’d like to limit the number of items coming in from each feed you would have to upgrade to the premium version. This starts at $50 for a single site, but the developers also have other extensions that could end up costing you more, depending on what you’d like. For instance, you’ll find extensions for Facebook reviews, combined streams, and carousels. The plugin seems to focus mainly on Facebook videos and media feeds, but it also supports YouTube, Twitter, Instagram, and Pinterest. You could technically use this for showing your own YouTube channel on a website or by combining a collection of YouTubers into one gallery. The plugin allows you to find your favorite social media video feeds and add them to your website. Add as many feeds as you want and customize them into one beautiful gallery. These feeds are all responsive and ready for color customizations. The free version also includes tools for people to share your videos on places like Facebook and Instagram. When curating videos on your website, the content sources include Pinterest, Facebook, Twitter, and YouTube. If you’d like to get extra creative, the developers of the Feed Them Social plugin offer a wide range of extensions for things like combined streams and carousels. If you’re looking for a simple, yet sleek, way to get your YouTube videos on a WordPress site, the YotuWP plugin does the trick. It’s lightweight, easy to use, and powerful enough to support galleries, playlists, channels, and videos from specific usernames. You even have the option to add a single video from one source. YouTube, Vimeo, and Wistia are all available as integrations, and the layouts include grid, list, and mixed galleries. I feel as if most of the features you would need are in the free version, but it truly is more for the simplistic video embedders out there who want a no-frills way to get those YouTube videos online without any messy settings. If you decide to go with the premium version, it starts at $14 per year and includes several features such as carousel and masonry layouts, 12 hover icons, replacements for things like titles and descriptions, and custom text for buttons. In short, the premium version almost completely strips the YouTube videos of its branding, making the videos more suitable for your own site. However, many people either don’t care about this or don’t need to spend money on this. YotuWP offers a minimalist design with a beautiful presentation of your videos. We like it for beginners or simply those who don’t need all of the features from other plugins. You can display your videos in multiple gallery formats such as a mixed gallery or a list. The plugin has options for taking videos from several types of sources. For instance, you might want to pull all of the videos from one playlist. Or, you may prefer videos from a username or channel. Large videos and small videos are available. All of the size customizations are done in the plugin, leaving you with an interface that doesn’t take much time to get videos online. You even get some unique display options such as modals, popups, and lightboxes. You still have the option to get powerful customization tools in the premium version. Not only that, but the $14 per year is extremely cheap for a premium plugin. Videozoom doesn’t have a free version but it’s definitely worth a look. The reason for that is because Videozoom is actually a full WordPress theme as opposed to a plugin. We included it here because we know that some people are making websites that have YouTube galleries as their main focus. Therefore, it would make sense to install a theme with that type of support as opposed to a plugin. The theme helps with showcasing a collection of videos from all over the internet. For instance, if you wanted to start your own YouTube channel and have all of these videos on your website as well, this might be a good choice for you. The same would be true if you plan on curating the videos from other sources. The theme has a flexible slider for showing off your most important or recent videos. You can also instantly embed videos from YouTube or self-host the videos yourself. This is not a free theme, but the $69 price tag isn’t bad for all of the features you receive. You also may consider paying the $99 membership fee for all of the WPZoom themes. Overall, Videozoom provides an instant solution for displaying your videos and ensuring that they are all ready to be viewed on mobile devices and discovered by search engines. You’ll also find that the theme provides translation-ready tools, regular theme updates, and a one-click demo content importer so that you don’t have to start from scratch. I really like the idea of plugins to embed YouTube videos, but if you don’t already have a website configured, going with a theme makes quite a bit of sense. 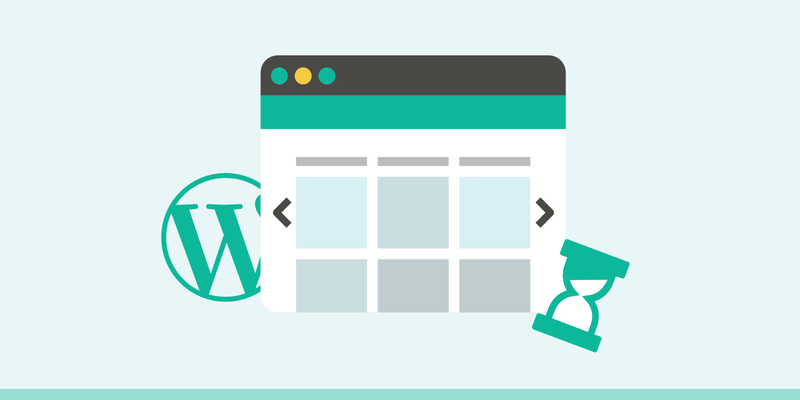 It’s a full WordPress theme, so you’re starting your website off with all of the embed tools you need to make an impression on your visitors. It offers two skins, dark and light. This way you’re able to brand your website a bit and think about how your visitors would like to view the videos. If you’re a developer you have the option to receive over 40 WordPress themes with the WPZoom membership. Embedding from YouTube is easy, and you’re also able to upload your own local videos to your server. After you upload a video or link from YouTube a video thumbnail is generated. All interfaces are rather beautiful, with a mobile design that makes your videos play instantly and appear just as they would on YouTube. The ARVE Advanced Responsive Video Embedder has an excellent reputation for presenting videos on your website without any problems. As you may have learned while posting videos on your website, something always seems to go wrong, whether it be a small or large problem. This plugin does the job while also supporting a wide range of other video sites besides YouTube. For example, you might want to pull a video from TED or Twitch or Comedy Central. In these situations, you’re not always able to find the same videos on YouTube. Therefore, you need to grab the link from the actual source website instead. This is a plugin that supports dozens of other websites while still providing the responsive video viewing we’ve grown accustomed to. The free version displays your videos in a reasonable fashion, and it also provides a WYSIWYG editor so that you don’t have to mess with any shortcodes. After that, the titles, descriptions, and other upload information is shown by the videos so that the search engines can index it and people know what the videos are all about. I personally feel like the majority of people who install the plugin will be fine with the free version, but there is the option to upgrade for $35. One of the primary features in the premium version allows you to disable links on your videos. This means that users can’t click on the Youtube link and get taken away from your website. There’s also a lazy load feature, lightbox, hover styling, and different play icons. Overall, the Pro version isn’t that expensive, so if you absolutely need one of these features it’s not a bad choice. The ARVE Advanced Responsive Video Embedder supports pretty much every video that you would find online. As long as the website you’re pulling from uses iframe embed codes you should be alright. You’re also able to instantly embed YouTube videos with no problems. The WYSIWYG support means that shortcodes are not required. Therefore, you can customize your video display and place the videos on posts and pages. It’s an SEO-friendly plugin that provides information about the videos on your website. For instance, you can reveal the titles and descriptions for your users to see. If you prefer shortcodes, the plugin provides them as an option. The videos can start automatically when a user lands on your website. Although it might not be necessary for everyone, the paid version has some lazy loading and the option to disable the YouTube links, both of which allow for greater control and optimization. The WpDevArt YouTube Embed plugin provides a simple installation and smooth embedding process for beginners. The whole point of this plugin is to offer a quick method for embedding without knowing any code. With WordPress, coding knowledge isn’t necessary for embedding a video, but this plugin adds some interesting features for placing videos in widgets, adjusting the size of your videos, and changing the colors. Although the plugin is free, the Pro version has the most impressive features. In the Pro version, you’ll find tools for creating YouTube playlists, revealing your videos in popups, and options for button shortcodes in posts or pages. You can also set individual options for every video, opening up all sorts of possibilities for videos. Related videos are also displayed, along with different sized thumbnails. The Personal version of the plugin starts at $12, and that also gets you premium customer support, which might be helpful. If you plan on having the plugin on multiple sites you’ll need a Business or Developer license, starting at $24. The WpDevArt YouTube Embed plugin provides a simple way to embed your YouTube videos without too many features that may seem confusing. It’s easy to install and all of your videos will show up nicely on mobile devices. The plugin allows for the insertion of YouTube videos in posts, pages, and widgets. Although the plugin is lightweight, it actually has plenty of customization features for adjusting things like the size of videos, autoplay features, and looping. The progress bar color can be changed, and you can start playing videos right when someone lands on your website. The Pro version is affordable and gives you a few features that might be worth considering. For instance, I like the idea of having videos in popups and showing related videos to get people to view more content on your site. In terms of functionality and feature set uniqueness, the YourChannel plugin could definitely be located at the top of this list. The main reason you would consider the plugin is if you’ve accumulated lots of videos on your own YouTube channel. After the installation, the plugin allows you to pull your entire channel and post it on your website. Unlike some of the other plugins on this list, YourChannel simulates what you would see while viewing a channel on YouTube. It also has the tools for showing single videos and including an autoplay feature. The visual builder is useful for constructing the way you would like your YouTube channel to appear. There are also seven video thumbnail styles to get a little creative with how you present your favorite videos. All of that, including translation tools, is provided in the free version. If you’d like to go with the Pro version, it only costs $15 for a personal license. This includes customer support for a year, along with a large collection of features such as the option to assign the number of videos to show. It’s worth looking at the feature list for the Pro version, since there are dozens of them–such as a search channel feature, a display of video duration, and color changing tools. The free version enables the display of a full YouTube channel, similar to how it’s shown on YouTube itself. You can show items like banners, playlists, and individual videos, all without having to mess with coding or complicated embed tools. The videos are all responsive and organized in a way that you can sort them. The premium version is extremely powerful and affordable. For instance, a few of the more unique premium features include themes, video comments, video start time, and player navigation. The caching in the free version is sure to improve the page load times on your website. The free version also has a beautiful lightbox so that users are emersed in your videos. The YouTube Gallery plugin is fairly self-explanatory based on the name. It does a wonderful job of combining a list of YouTube videos and displaying them in a sleek gallery or list. The reason we like it so much is that sometimes you find a gallery plugin and realize that the display isn’t that elegant. However, the YouTube Gallery plugin makes it simple and beautiful without much work on your end. What’s interesting is that the majority of features are provided in the free version, and the developer doesn’t seem to promote the Pro version that much. However, the pro version is an excellent option if you’d like some of the add-ons and full customer support. The customer support is obviously a plus, but some of the other upgrades you receive include better SEO tools, options for bulk uploads, and a shortcode builder for better video insertion. If you’re thinking about only having one or two videos, this plugin probably isn’t for you. That said, it’s an essential solution for those who are trying to upload dozens of videos to their website and would rather take the videos from YouTube. Or, you have the option to curate your videos from multiple sources on YouTube. One of the primary reasons this plugin works so well is because you can adjust the galleries without much work. For instance, it provides grid galleries and lists, along with sizing modifiers, and shortcode creators. The plugin displays a collection of your videos in a sleek, elegant fashion. The base plugin is free, but you can upgrade to get dozens of additional features for $99.99. The main gallery has your videos in a four-column responsive layout. There isn’t much editing you have to do. The video content is revealed on the video page for your users to understand what the video is about. The plugin comes with two sidebar widgets for showing off smaller videos on several pages. These widgets are for featured YouTube videos and recent YouTube videos. Which of These Plugins is Best for You to Embed YouTube in WordPress? When trying to figure out how to embed YouTube in WordPress it becomes clear that many of these plugins are quite similar. We’ve broken down each plugin by the best features from each, but it still might seem a bit confusing. Below we have our best recommendations based on your particular situations. This way, you can select two or three of them and test them on your own website. I’ve found that video gallery plugins require testing, because some people like some layouts better than others. Also, you might find that one plugin doesn’t work well with your theme or other plugins. For the best all around YouTube embed plugin – Go with YouTube by EmbedPlus. In order to lazy load all of your embedded YouTube videos – Consider WP YouTube Lyte. For pulling videos from social networks (and to include social sharing buttons on videos) – Try out Feed Them Social. If you’d like a varied mix of gallery layouts – The YotuWP plugin is a decent choice. For those who are just starting a video website and would like a full YouTube gallery theme – The Videozoom theme puts you on the right path. If you prefer a WYSIWYG editor instead of shortcodes – Consider the ARVE Advanced Responsive Video Embedder. For an extremely basic YouTube embed tool – Think about WpDevArt YouTube Embed, Playlist and Popup. To pull an entire YouTube channel and display it how it shows on YouTube – Go with YourChannel. If you’d like to test out a different gallery plugin – The YouTube Gallery plugin creates great galleries. If you have any further questions about the ways to embed YouTube in WordPress, let us know in the comments! I’ve used Youtube Embed Plugin (your first way) to embed the video as well as images to make slides in my website page. But the video is cut off. Do you know how to fix the size of the video?